The economic crisis that the world is experiencing today is nothing compared to the Great Depression experienced in the 1930s, an economic depression that served as the basis of the establishment of the International Monetary Fund (IMF). During this time several countries tried to save their failing economies by creating a barrier between them and other foreign countries. But instead of salvaging what they had, this led to further economic depression. In July 1944, 45 delegates from different countries met for the United Nations Monetary and Financial Conference. This conference led to the conception of the International Monetary Fund (IMF). The 45 representatives agreed to create an international institution that would oversee the monetary systems of all countries, particularly the exchange rates and international balance of payments. By following the macroeconomic policies of its members, the organization aimed to stabilize the world’s financial system and sustain development of its member countries. The basis of the structuring was to avoid repetition of the selfish policies that led to the Great Depression. This agreement is known as the Bretton Woods agreement, as it occurred in Bretton Woods, New Hampshire, in the United States. However, it was not until Dec. 27, 1945, that the International Monetary Fund was formally organized. The first 29 member countries signed the Articles of Agreement, and today the constitutional purpose of the institution remains the same. On March 1, 1947, the IMF officially started its operation. One of the financial policies of IMF was the par value system, known as the Bretton Wood system. This was in place until 1971 when the U.S. President suspended the conversion of the dollar into gold. Major currencies during this time began to float, as countries were free to decide the form of exchange agreement. The transition was good until the price of oil started to increase. To help respond to the soaring price, the IMF set up its two oil facilities. To help its poor country members, the institution set up a Trust Fund to provide a financing scheme. The first country to borrow money from the IMF was France in 1948, just a year after the establishment of the organization. In December 1987 the Enhanced Structural Adjustment Facility replaced the Structural Adjustment Facility launched in March 1986. However, the institution noted difficulty in paying for the poorer country members. To solve the problem, the IMF collaborated with the World Bank in 1990 to ensure that poor countries can manage their international debt. There are now 186 member countries. The membership expanded in the 1950s and 1960s when more countries attained independence. In 1989 the fall of the Berlin Wall and in 1991 the disbanding of the Soviet Union caused the IMF to truly become a universal institution. Membership from African countries rapidly increased. 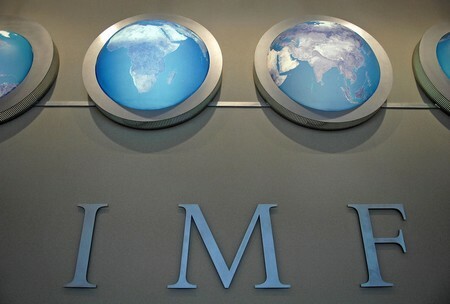 The member countries participated actively in the IMF and benefitted from its financial policies and assistance. Camille Gutt of Belgium served as the very first Managing Director of the IMF. Today Dominique Strauss-Kahn of France manages the institution. He began serving on Nov. 1, 2007, and his term will end after five years. The main headquarters are located in Washington, D.C.